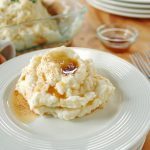 Amish Brown Butter Mashed Potatoes will rock your world! 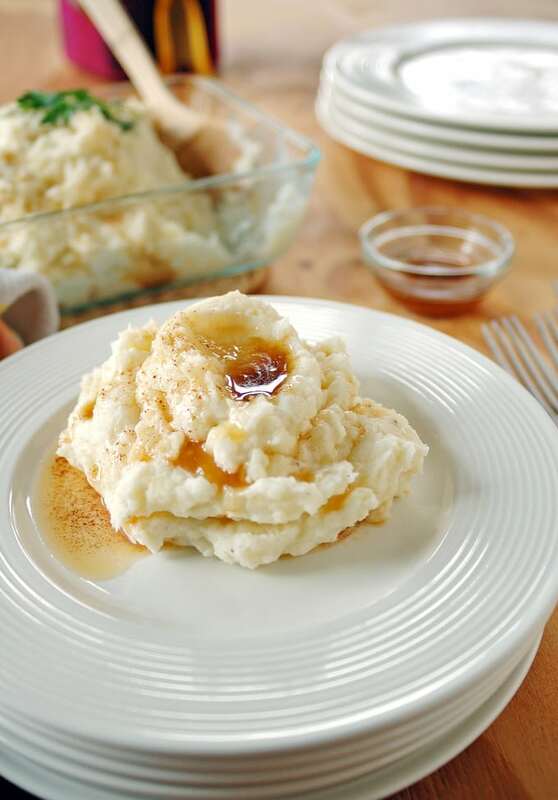 Mashed potatoes with cream cheese and garlic are topped with brown butter in place of gravy. My favorite mashed potatoes ever! You might be wondering why an Italian is posting a recipe for Amish brown butter mashed potatoes. Well, this Italian happens to live about 80 minutes from Amish Country. And I’m telling you, these potatoes are the best thing I ever ate there. And that’s saying a lot, since there’s pie in Amish Country. And lots of cheese. And chocolate. And normally, I can take or leave mashed potatoes. But, when my son was in sixth grade, I chaperoned his field trip to Amish Country. We ate lunch at a place with long tables where groups of tourists were served plates of broasted chicken, vegetables, and mashed potatoes with a pool of amber liquid resting on top and dripping down the sides. I had never seen or tasted browned butter in my life. But after one mouthful, I was swooning. My blog wasn’t even a twinkle in Mamma C’s eye yet, but I had to ask one of the Amish ladies about that topping. “It’s brown butter,” she told me. I nodded reverently and made a mental note that someday, I would learn to make it and pour it all over my mashed potatoes. But, alas, my daughter never liked mashed potatoes (though she tells me she occasionally eats them at college), so it’s one side dish I’ve rarely served. 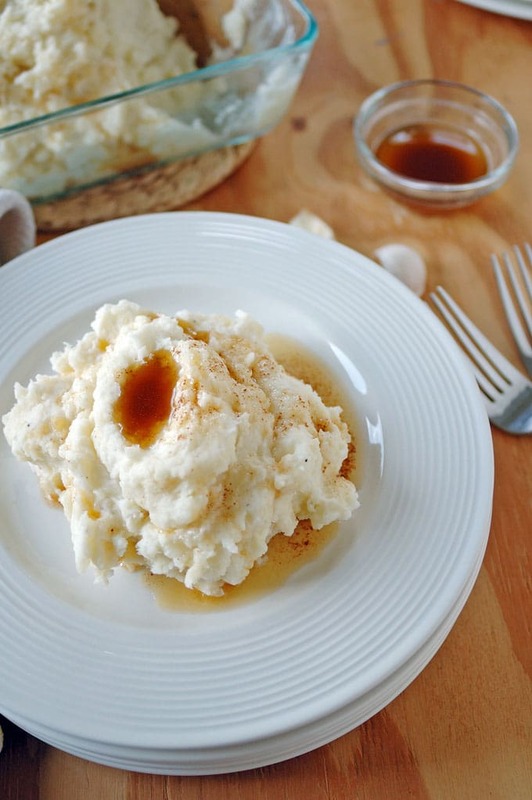 Amish browned butter mashed potatoes remained a decade-long memory and nothing more. But, I discovered that making browned butter simply involves melting it and letting it simmer and bubble until it turns a caramel color and gets brown speckles. 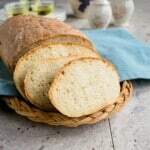 It tastes nutty, toasty, salty and divine. I’ve used it in Mashed Turnips with Brown Butter and Bacon and Browned Butter Banana Bread with Frangelico and White Chocolate Chips. School is wrapping up soon for my daughter, though, so my hubby and I drove down Saturday to pick up as much of her stuff as we could cram into my van. We could only see out the front, driver’s and passenger’s windows when we were done, but that was enough for me to catch a glimpse of the Amish Country billboards as we drove by. And, suddenly, I couldn’t stop thinking about those dreamy mashed potatoes. 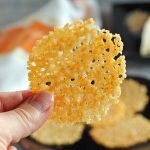 I decided I needed to figure out how to make them and share the recipe with all of you. When we got home, I began my research. After reading at least 10 recipes for mashed potatoes, Amish and otherwise, I felt I had enough background to get into my kitchen and start experimenting. I knew I would add cream cheese, which I found in most of the Amish recipes. I decided to play the milk situation by ear, since a few recipes don’t call for it. But I ended up using a full cup for three pounds of potatoes. And, while I originally thought the brown butter would be mixed in throughout, plus drizzled on each serving, I learned the Amish stir in regular butter and only use the brown butter as a topping. I’m guessing that’s to keep the mashed potatoes looking pale yellow. So, I played with the amounts of ingredients, figured out how much salt and pepper to add, and ate way too many mashed potatoes in the process. I did it for you. I’m thoughtful like that. 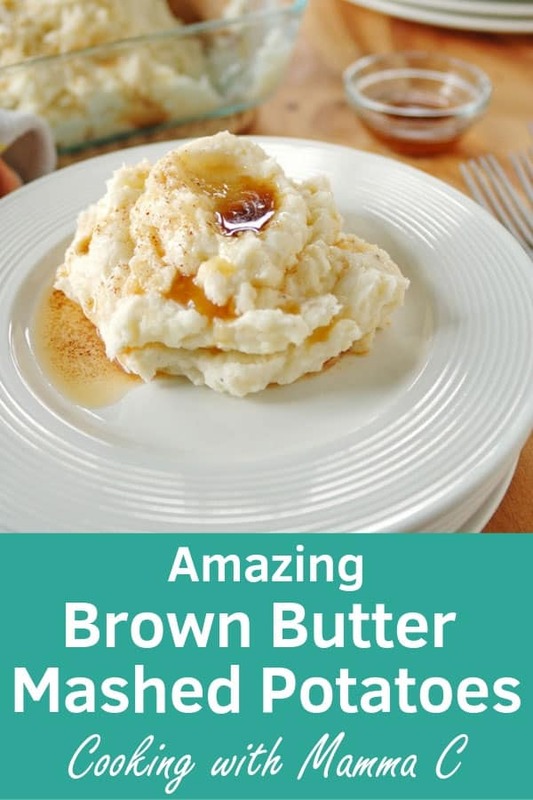 Friends, these Amish brown butter mashed potatoes are so delicious, I can’t help but roll my eyes and say “Mmmm,” as I savor each bite. They’re probably laden with calories, but you can use low-fat milk and cream cheese like I did. Just don’t skimp on the nectar of the gods…I mean, the brown butter. Rinse and peel your potatoes. Quarter the potatoes (cut them in half, then in half again). Cut the quarters in half again, if they are large. Place your potato chunks into a large pot. Place the pot over high heat on your stove. Add two teaspoons of salt to the water. Peel your garlic cloves and throw them in the pot. Cover the pot, set a timer for 25 minutes, and let the pot come to a boil, making sure to remove the lid when the water is simmering, so the pot doesn't boil over. The potatoes are done when you can easily insert a fork in them; mine took 25 minutes, but it will depend on the size of your potato chunks. You will need to drain your potatoes in a colander in the sink when they are done cooking. While your potatoes are cooking, place 1 1/2 sticks of butter (12 tablespoons total for a generous amount of brown butter; see notes) in a small or medium heavy pot, such as a stainless steel one. Try not to use a dark pot, or it will be hard to notice the color of the butter as it cooks. Place the pot over medium heat on the stove and let the butter melt. As the butter starts to bubble, lower the heat and stir the butter occasionally as it foams (watch the pot constantly so the butter doesn't burn.) Cook the butter just until it turns a caramel color (you can use your spoon or spatula to push away some bubbles to peak at the color of the butter.) Immediately turn off the heat and place the pot on a cool burner. When your potatoes are done cooking, drain them and return them to your large pot. 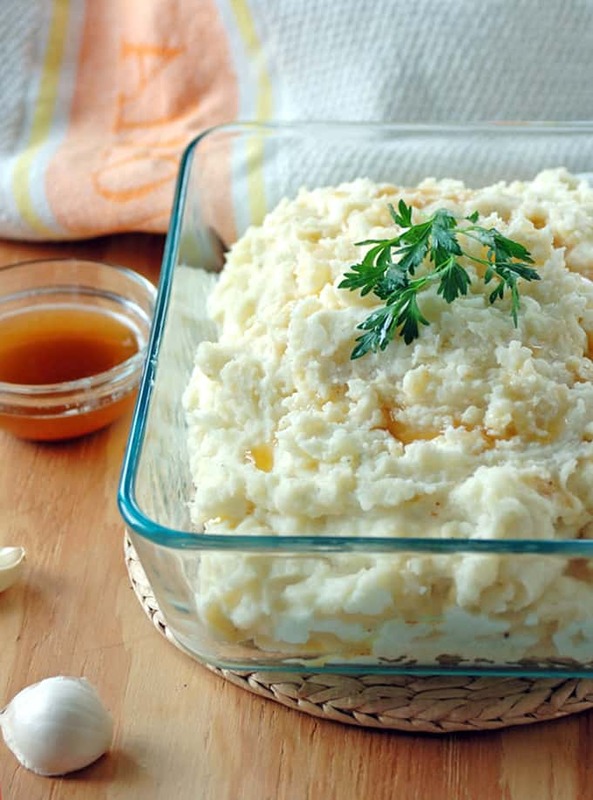 Add six tablespoons of butter and mash the potatoes with a potato masher or ricer. Warm up your milk in the microwave and add it and the cream cheese to your potatoes, mashing and stirring to blend. Add 1/2 teaspoon salt and 1/4 teaspoon pepper to the potatoes and stir. 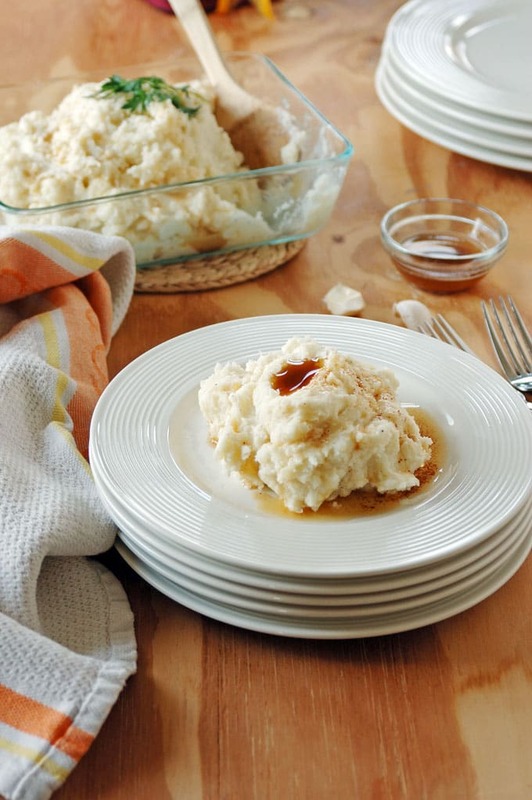 To serve, scoop some mashed potatoes onto a plate, make an indentation on top with the back of a spoon, and spoon some brown butter over the top. Garnish with parsley, if desired. Store leftover brown butter in a covered container in the refrigerator (it should keep for a week). It will solidify but can be reheated in the microwave. Refrigerate leftover potatoes separately. 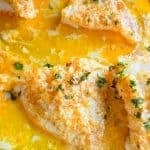 To reheat leftovers, cover and melt some brown butter in the microwave, separately from the potatoes, as it will take longer for the butter to liquefy. Reheat your potatoes in the microwave, covered. For the browned butter, you can get away with just one stick of butter (8 tablespoons) and have just enough...but I put 12 tablespoons in the recipe so there is plenty to go around. Also, I use 1 cup of milk in this recipe, but you might want to start with 1/2 cup and then add more as needed, until the potatoes reach the consistency you prefer. Is there nutrition info on this recipe? 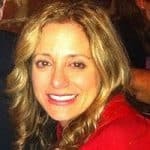 I don’t have the nutrition info, Melissa. Maybe you could try plugging it into an app such as MyFitnessPal. I’m a little late to the party, but I had to comment. These potatoes, crowned with brown butter, look utterly sublime. As some of your other readers have commented, I’ve never considered browned butter on potatoes, but, it’s nutty, rich flavor is a favorite of mine in baked goods, especially this simply, delightful browned butter pear cake from Isabelle Boucher’s Crumb Blog. I’ve tried others since discovering it, but the simplicity and speed of this recipe, combined with the unique and flavorful tones of the browned butter and cardamom have made it a favorite go to dessert to wow my guests. Hope you don’t mind I’ve shared. You’re never late to the party here! 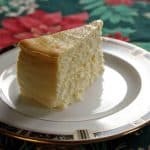 I’m glad you took the time to comment and share the pear cake recipe. Thank you, Nise, and I hope you try these potatoes! My maternal grandmother was Pennsylvania Dutch and my maternal grandfather was Mennonite. We were raised on Amish food I raised my daughter and now grandson in it. Until my daughter started cooking and putting her own twist on things we never put garlic or cream cheese in this recipe. I’d call this modern Amish inspired brown butter potatoes. Recipes do change when Amish get more involved with the English (what non Amish are called) and they certainly don’t publish cookbooks. Mennonites however drive, use modern technology, and shop at the mall. I’m glad tourists find my heritage so appealing. I always make my family recipes for my church bake sales and potlucks. Who doesn’t like Authentic Amish or Mennonite yummy goodness. Thank you for sharing that background, Lisa. I really enjoy visiting Amish Country and experiencing all of the great food! Thanks, Annie! I think you’ll love these. My girl is coming home today, and I can’t wait! 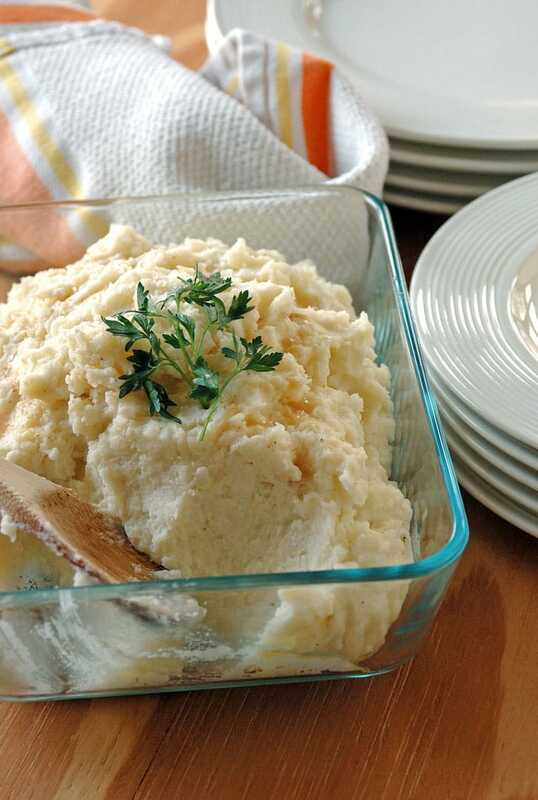 Wow this mashed potato sounds divine and looks amazing! I can’t wait to try it! Thanks, Sam! I hope you love it. these look like a delicious and amazing treat to pair with just about anything. Browned butter really adds such an amazing flavour! Oh I’ve never heard of these before but they sure do look good. Will definitely be trying them. I hope you enjoy them, Georgina! Ooh, ravioli with browned butter! It’s dangerous to think of all the possibilities. But you must try it with mashed potatoes, Swayam! I have no doubt in my mind why these potatoes are your favorite food from Amish country!! These look delicious, I need to try them! I hope you do, Denise. They’re ridiculously good!